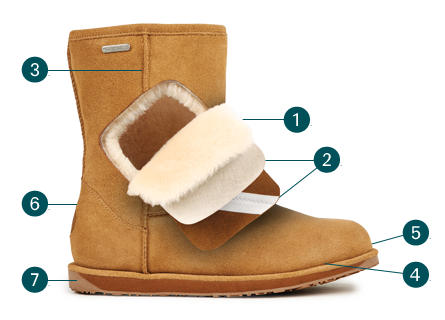 Answering your winter needs, the women’s EMU Australia Moonta is a waterproof, knee high suede boot lined with soft Australian sheepskin. Featuring a full-length medial side zip for easy wearing and a durable, high traction outsole for cold weather grip and protection. 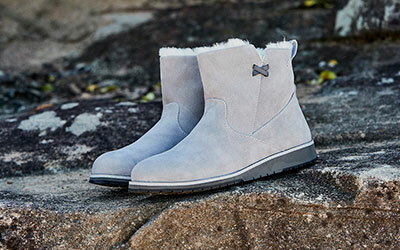 The women’s slim fitting and fashionable, tall Moonta boot has been designed to take on the full force of winter. 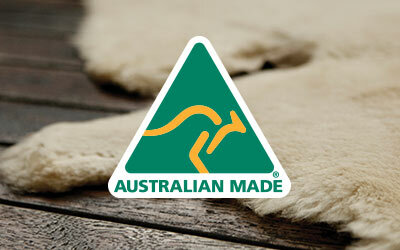 Made with waterproof suede and fully lined with warming Australian sheepskin, to keep you warm and dry through slush and snow. 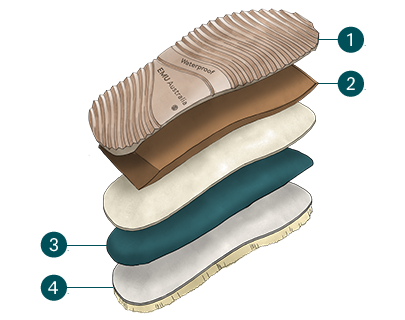 The cushioning, waterproof, durable rubber sole unit is also lined with sheepskin providing grip and underfoot comfort. For easy wearing, the boots feature a full length medial side zip and are made with a moulded heel cup and toe cap for a great fit.